The Mount Skokomish - Lake Cushman map is centered on the Mount Skokomish Wilderness in Olympic National Forest. It includes all of the trails in the southeast corner of the Olympic Mountains. It also includes all of Lake Cushman, and the adjacent trails in Olympic National Park. This map covers the entire North Fork Skokomish River Trail, and all its connecting trails from Staircase to the Headwaters of the Duckabush River, Lena and Upper Lena Lakes, Lake of the Angels, and the high country connecting them. 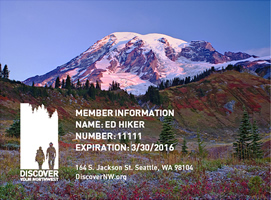 Also covered are the entire Mount Ellinor, Mount Washington, and Mount Rose trail systems. Using an inset, the entire lower South Fork Skokomish River trail system is also covered. Please contact customer service to request an unfolded map. Features: 1998. Scale: 1:62,500. Contour intervals set at 100 ft. 14.5 x 22.5 in.